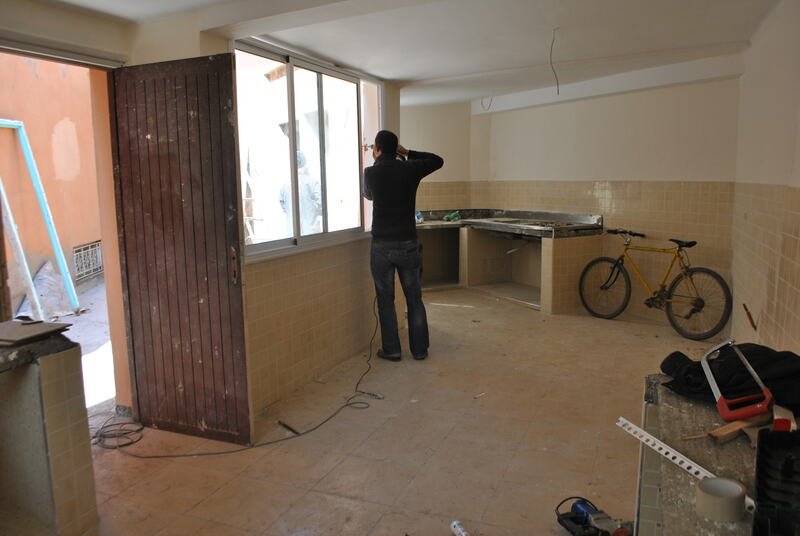 Come on Amal center, almost there! 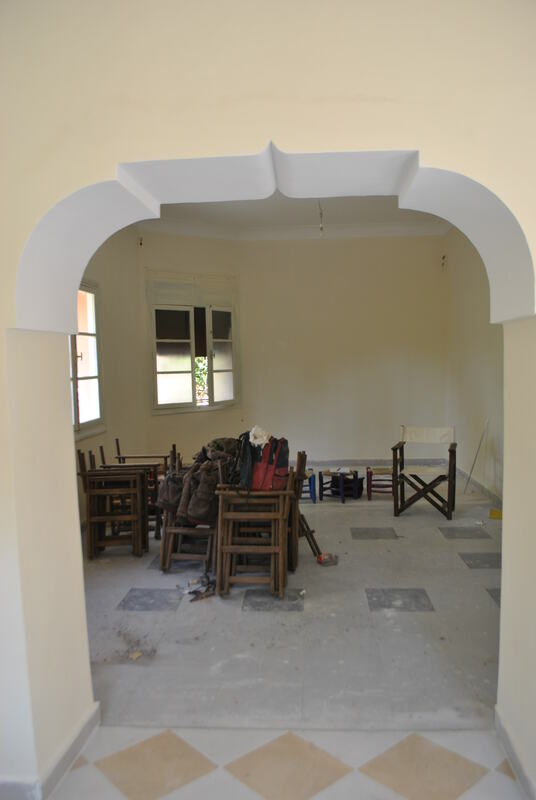 After a good 2.5 months, work at the Amal center is finally wrapping up! Every week, the contractor takes a look around and says “all right, I’m going to put more workers on this site and we’re going to finish this thing. One week max, we’ll be out of here”. This is the first time that I think we might actually have a chance. Let me show you a few of things we’ve been working on. I’m very happy with these windows we found at Souk el Khmiss, the huge covered flea market where no tourist dares set foot. 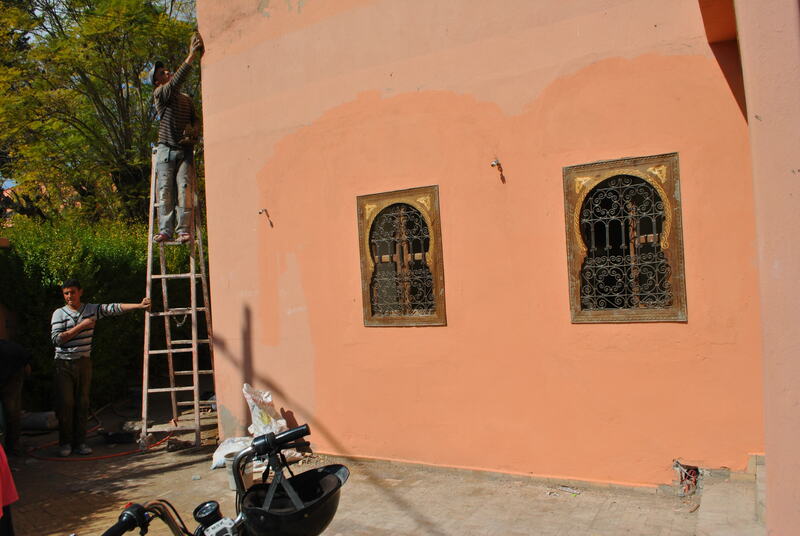 The windows are so very quintessentially Moroccan and they’ve got soul, that’s what we want for this place. Do you see the wooden posts there? 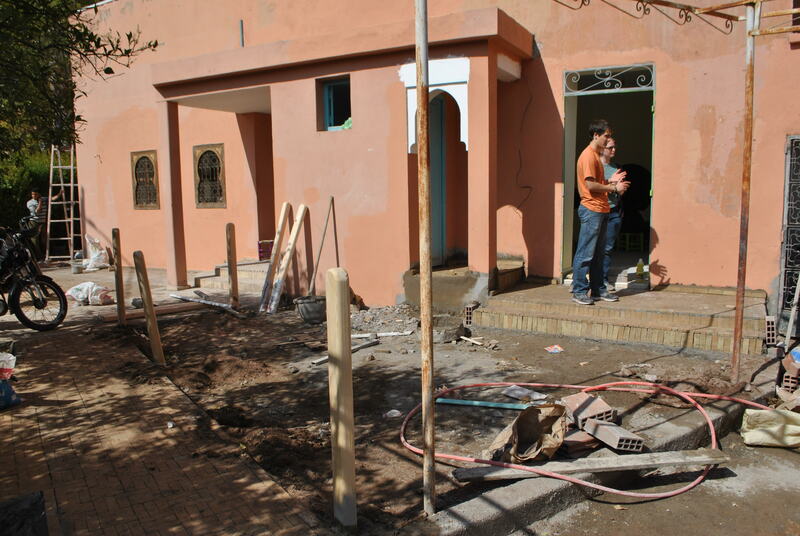 They are the beginning of a picket fence that will be installed tomorrow, insha Allah, around the kids’ garden. 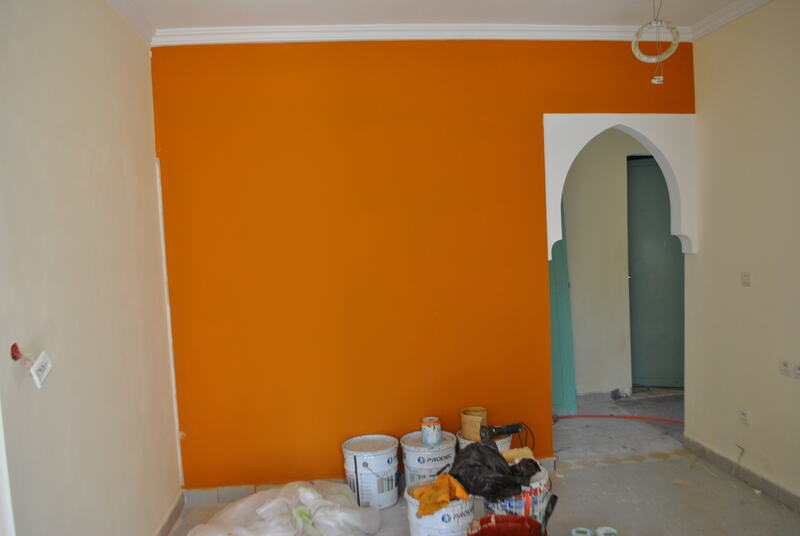 And that color of paint, it’s so Marrakesh, we had to stick with it. It’s called Rose Mamounia. Just got aluminum windows put in the kitchen today. 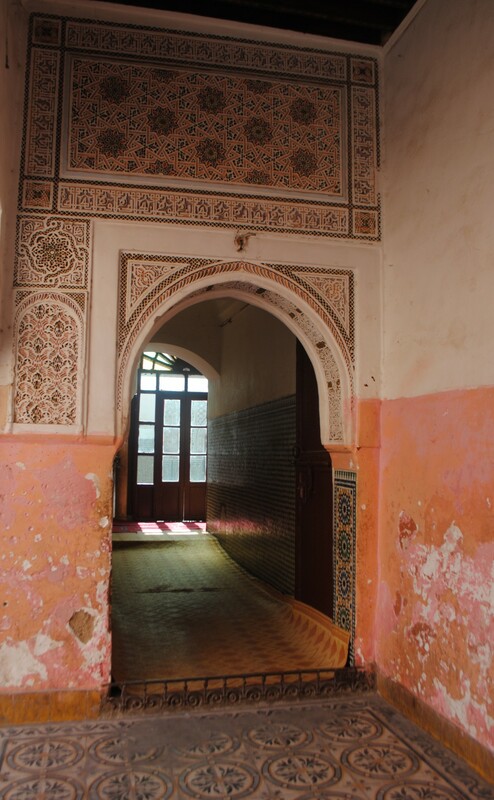 It looks so bright and airy with the nice cream colored paint and tile work. The industrial sink is also from the flea market. Part of the indoor dining area. Planning to put some nice Moroccan banquettes here. The kids’ room! 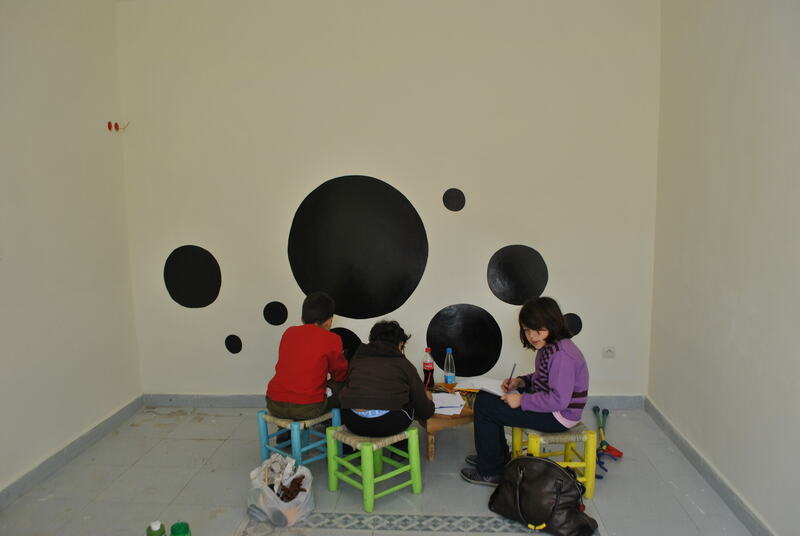 The circles on the wall are chalkboard, so the kids can draw with chalk straight on the wall. The chairs are also locally made, painted by our very dedicated volunteers. 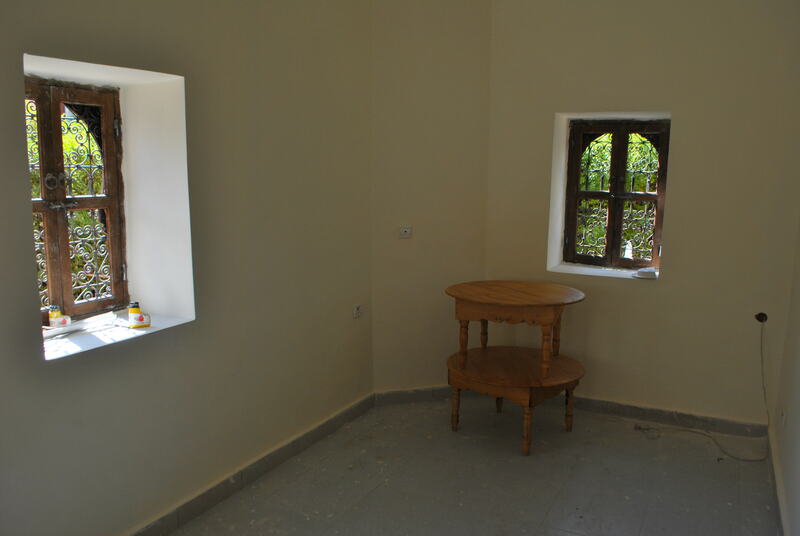 The main dining room, all painted. These chairs were also a flea market find. I was having such a hard time finding something wooden, comfortable, durable and inexpensive, but when we came across these chairs I was just thrilled. They need a good sanding and oiling…volunteers…. 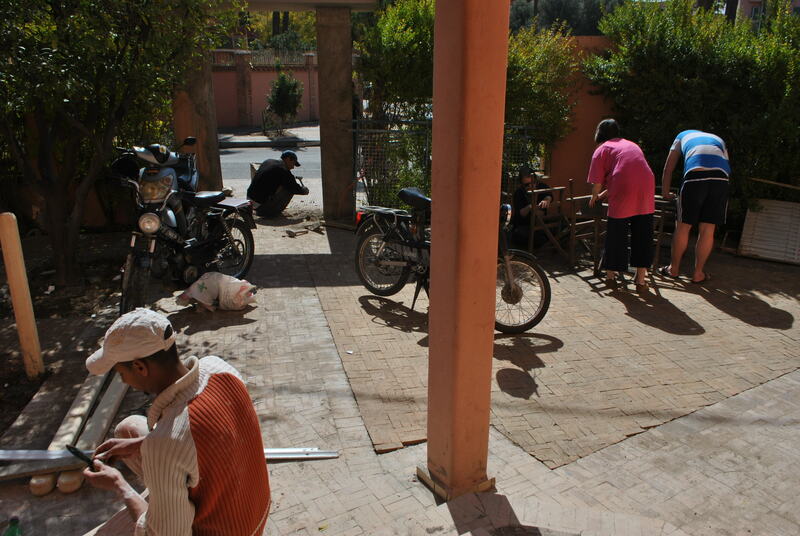 And this is a view from the front door…the garden has been tiled in Moroccan brick called “bejmat”, and we actually opened up a new entrance from the street that is in line with the front door. All in all, it’s turning into a beaautiful place. And although I get overwhelmed by the weight and responsibility of it, I just have to remember to ask for help from all the people who believe in the project. And most of all, asking for help from the One who sends forth all the we have. What a beautiful, safe place. I can’t wait to visit! Thank you for being you, Norah. Oh how lovely it is all becoming! An awesome beginning of a wonderful vision. May the Grace continue to flow…..